Alexander Hamilton was the illegitimate of a marriage between a Scottish merchant of aristocratic descent and a French mother who was the daughter of a landowner. In 1777, George Washington appointed him his field assistant and personal secretary. In 1781 he resigned, although he remained in the Army as head of a light infantry regiment from New York with whom he participated in the siege of Yorktown. 11 years old he was orphan, he was born in Saint Nevis in 1757. However, he managed to be one of the “founding fathers” of the US Constitution, which was ratified as a Confederation in 1781 and as a Federation in 1788, together with Washington, Adams, Jefferson, Madison, and Franklin, among others. In addition, he was his first secretary of the Treasury in 1789 under his first president, George Washington. He studied at a school in Elizabethtown, New Jersey, and later joined King’s College (now Columbia University). He was an artillery captain and fought in the battles of Long Island, White Plains, Trenton, and Princeton. In 1777, George Washington appointed him his field assistant and personal secretary. In 1781 he resigned, although he continued in the Army at the head of a regiment of light infantry of New York with which he participated in the siege of Yorktown. Hamilton helped that the Philadelphia Convention meet to elaborate the Constitution of the United States of America in 1787 when he acted as leader of the so-called “federalist centralists” with Washington and John Adams against the “federalist republicans” who represented local particularism and democratic tendencies. After the war, he left the army and studied law in Albany (New York). He became one of the most prestigious lawyers in New York and in 1789, President Washington appointed him first secretary of the Treasury. In 1790, Hamilton nationalized all his debts and collected them in a federal fund to amortize them in the long term, saving them from bankruptcy. In return, it achieved the power to impose federal taxes and to issue federal debt instead of that of the states, creating what remains the most important sovereign debt market in the world. In 1791, he also created the first central bank of the USA, the First Bank of the United States, a forerunner of the US Federal Reserve Board in 1913. Finally, to compensate for the fiscal correctness of Virginia and since Washington was Virginian, he moved the capital of New York, of which he was a representative in Congress, to Washington DC. In foreign affairs, he persuaded Washington to adopt a policy of neutrality in Europe after the wars against France broke out in 1793, and in 1794 he wrote instructions for the diplomatic mission sent to London that resulted in the Anglo-American agreement known as the Jay Treaty. He returned to the practice of law in New York in 1795, although he did not abandon politics. Washington continued to consult him regularly and influenced President John Adams to appoint him Army Inspector General. Married to Elizabeth Schuyler Hamilton from 1757 to 1854, he was the father of James Alexander Hamilton and William S. Hamilton. On January 31, 1795, Hamilton resigned from his position as secretary of the Treasury to devote himself to the legal profession. During the presidency of the second president of the United States, John Adams (1796-1800). Thanks the latter continued to maintain in his cabinet the former secretaries of George Washington, totally favorable to the dictates of its leader Alexander Hamilton. When, in 1804, outgoing Vice President Aaron Burr presented himself as a candidate for Governor of New York, Hamilton again avoided that fact by unleashing an intense campaign against his candidacy. Hamilton consciously ruled in favor of the capitalist elite he trusted to make the country grow, using expeditious methods against the masses of people and their political opponents, which led to the expression “federalist terror” to denote this period (for example, by passing a law in 1798 prohibiting any criticism of the government). Alexander Hamilton is seen by the current Republican Party as its ideological root, just as the Democrats recognize themselves as Jefferson’s heirs. Since the possibility of the outbreak of the war between France and the United States, John Adams, and Alexander Hamilton began to distance themselves politically, a confrontation that eventually eroded the Federalist Party and led to the electoral defeat of John Adams in the presidential elections of 1800, in favour of the Republican tandem formed by Thomas Jefferson and Aaron Burr. Hamilton again made his influence felt by casting the federalists’ vote in favor of Thomas Jefferson, as he considered Aaron Burr an adventurer and an unscrupulous politician. When outgoing Vice President Aaron Burr ran for governor of New York in 1804, Hamilton again avoided this by unleashing an intense campaign against his candidacy. After being defeated, Aaron Burr, in pain, challenged Alexander Hamilton to a duel on July 11, 1804, in Weehawken, New Jersey, where Hamilton was wounded to death and died the next day. With the death of its leader, the Federalist Party began a long decline until its total demise in the mid-twenties. Alexander Hamilton came from humble beginnings but eventually became one of the Founding Fathers of the United States and the first Secretary of the Treasury. While he never became President, he was an incredibly influential figure in the formation of America. The US $ 10 bill bears the face of the first US Treasury Secretary, Alexander Hamilton. 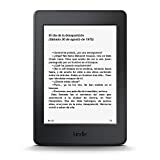 If you still don’t have a Kindle Paperwhite to read it, here I recommend the best one. This improved waterproof version can make an excellent gift for someone who enjoys reading. Who was George Washington Short Biography for Schools.